Sure, we can all scoff at Applebee’s’ frequent attempts to get us drunk for under $5, but the cheap cocktail strategy (most recently: $1 zombie cocktail with a gummy brain) appears to be working. 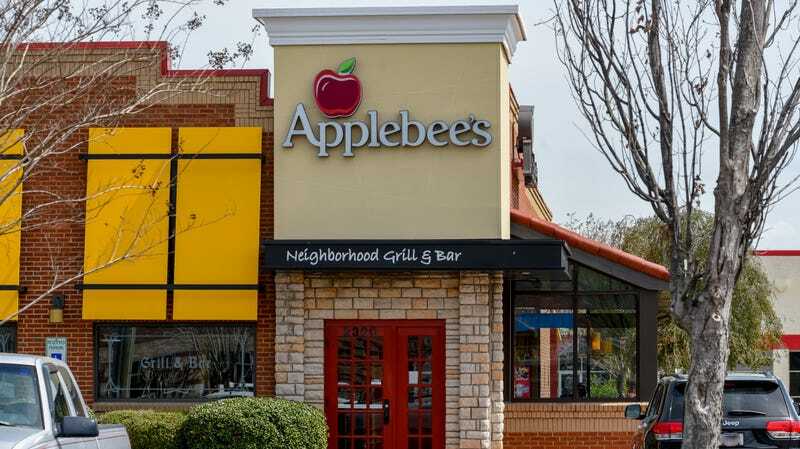 In a recent reveal, Applebee’s president John Cywinski told CNBC that drink and dinner deals during the third quarter “helped boost same-store sales up 7.7 percent,” compared to 1.2 percent for the rest of the industry. Cywinski states it’s the chain’s best showing in 14 years. Applebee’s kicked off its $1 drink concept with Dollaritas in 2017. Cywinski explains how the cheap drinks helped lead to growth for the chain: Because customers “are getting a great value on the beverage side, they tend to be ordering desserts and appetizers.” The subsequent plethora of eat-in meals, along with an increasingly popular curbside pickup service, helped boost Applebee’s to “four consecutive quarters of growth, 43 consecutive weeks of positive comp sales, [and] outperforming every segment of the restaurant industry,” according to Cywinski. Applebee’s relatively inexpensive dinner tab just makes the chain more appealing to those who may be eschewing restaurants due to higher prices. As a result, shares of Applebee’s parent company, Dine Brands, is up about 70 percent since January. If you’re heading to a chain restaurant, patrons are apparently reasoning, why not head to the one with the guaranteed $1 cocktail? Then being able to build your own appetizer sampler platter or a choosing from a variety of entrees for under $15 just seems like a bonus.